Whew! 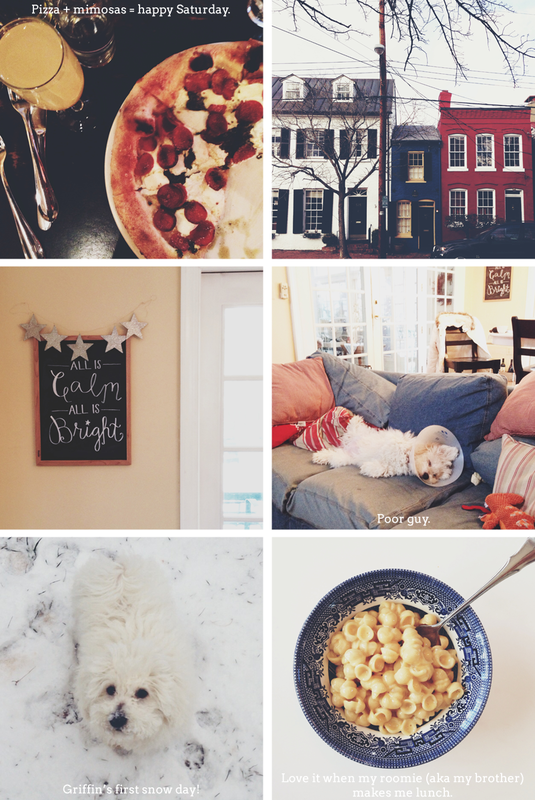 I blogged more this week than I have in a long, long time. I don’t know what got into me! Sometimes inspiration just strikes, I guess. Things are in crunch mode over here, so it was good to get some blogging under my belt in December before things slow down for the holidays. This weekend is going to be pretty chill. No work. Just Christmas cards, Christmas shopping, maybe some baking. What are you up to this weekend? I’ll be honest- I didn’t really read a ton this week. BUT I did pin like a crazy person, there’s usually some good links in there if you’re interested! Emily A. Clark launched this week! Loved working on this project. I love Christmas music, so here’s the Desktop Ditty: Christmas edition! Something a little different for me- a rustic + masculine moodboard! A little redesign I did for Small Town, Big Wardrobe. I absolutely LOVE you desktop background! Thanks! I’d been hoping for something and, well, I’m just not skilled at such things… pretty jealous about that! Pretty jealous that you have a brother to make you mac N cheese too… Livin’ the dream!